The first production Oldsmobile Cutlass was a pillared deluxe coupe version of their new-for-1961 unit-body F-85 "senior compact." Olds had earlier used the Cutlass name on a 1954 Motorama show car. A 185-hp high-compression 215-cid "Rockette" aluminum V-8, equipped with a 4-bbl. carburetor, powered the Cutlass. Upgraded exterior trim was featured outside. Inside, a richly detailed two-tone vinyl-trimmed interior with front bucket seats was standard. 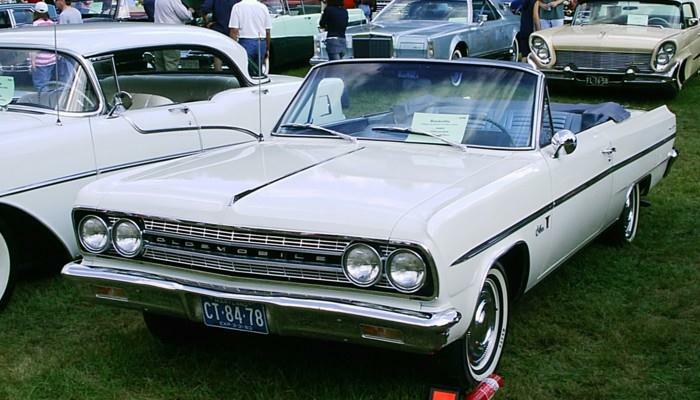 A Cutlass convertible debuted for 1962, while the otherwise little-changed Cutlass Coupe became a true two-door hardtop. The mid-year Jetfire, based on the Cutlass Coupe, introduced the industry's first turbo-charged V-8. The engine developed 215 hp. Oldsmobile stylists substantially revamped the F-85/Cutlass line for 1963. Four inches of added length and a new slab-sided appearance made the cars seem larger. However, the restyled '63 editions were still essentially first-generation models underneath. GM dropped its small aluminum V-8 program at the end 1963. Early Cutlass models are amazingly roomy small cars and their lightweight V-8 provides impressive performance. Although historically significant, the 1962-63 Jetfires can be technically challenging.